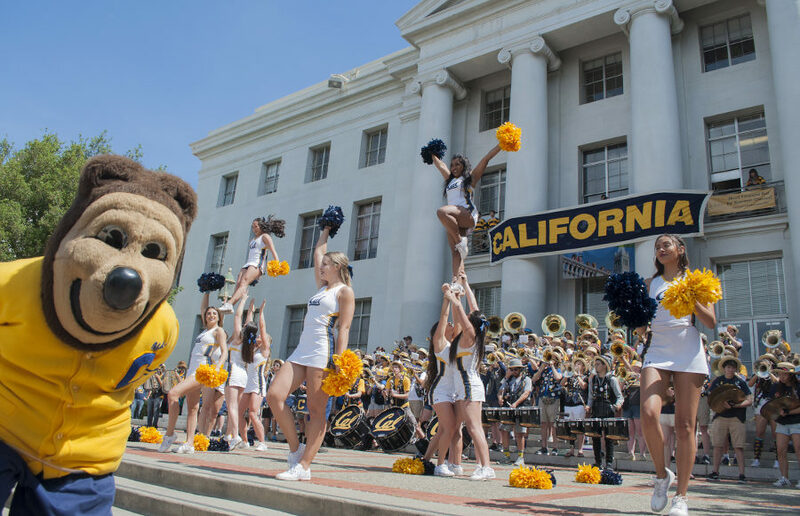 Oski joins the cheerleader performance at the noon rally on Cal Day. UCPD arrested two Black students on the UC Berkeley campus March 8, generating controversy from the campus community, including allegations of racial profiling. UC Berkeley mental health awareness club You Mean More hosted its eighth annual Out of the Darkness Suicide Prevention Walk on Sproul Plaza in partnership with the American Foundation for Suicide Prevention on Saturday. UC Berkeley began the removal of about 41 trees in People’s Park early Friday morning, generating criticism and backlash from community members. Have you ever felt as if UC Berkeley is just like a massive, real-life role-playing game? On the first day of the three-day strike by the UC’s largest employee union — the American Federation of State, County and Municipal Employees, or AFSCME, Local 3299 — union members rallied, marched through the UC Berkeley campus and formed picket lines Tuesday. The shooting was allegedly the result of a dispute between two people deciding whether to stay on Telegraph Avenue and get food.